Hey Guys ! I am back with some great news ! I am finally translating my recipes into Youtube videos and I am really excited about this. 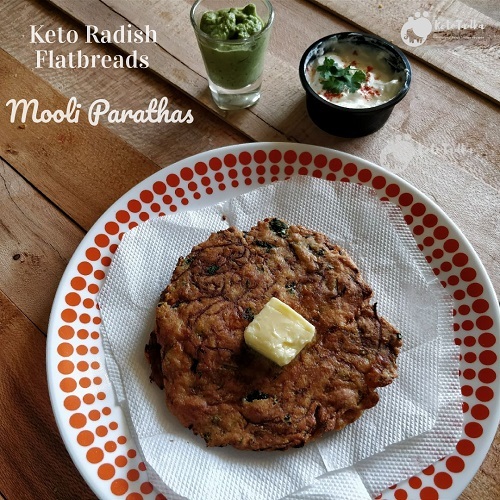 Starting with it, Here is the Keto Radish Flatbreads or Keto Mooli Parathas which you will love for sure. I hope I have made the recipe quite simple for you. If you Like it, please leave a comment here on Youtube Video. Also, What kind of recipes you would like to see more ? 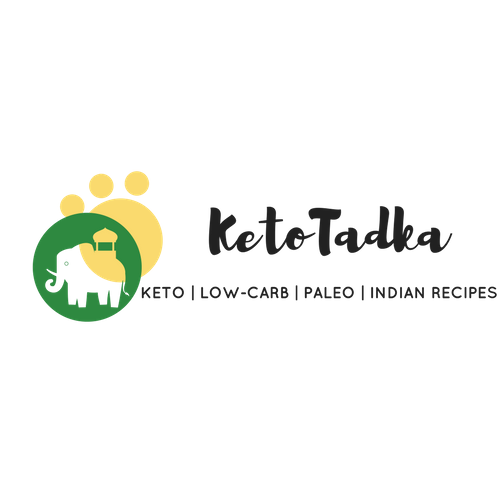 I already have some delicious healthy recipes planned, but would welcome your feedback. 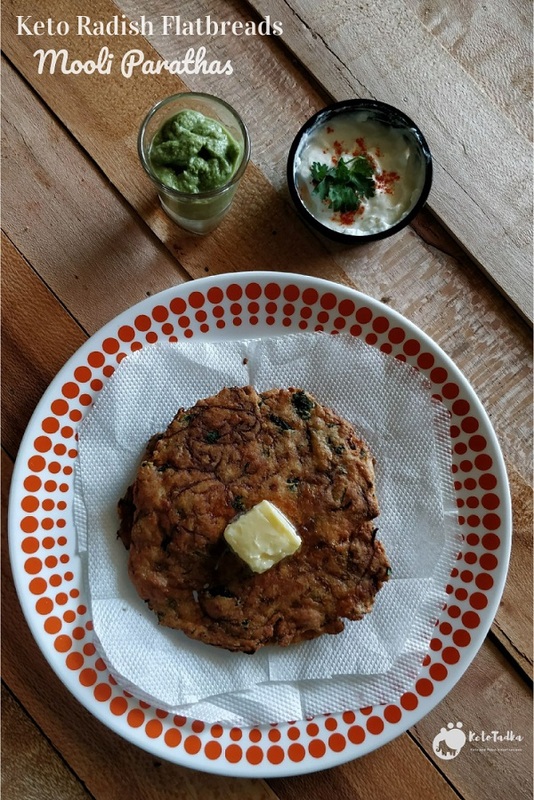 Also, when we are talking about Parathas , have you seen these similar recipes ? Take 1.5 cups of shredded Radish in a sieve placed over an empty vessel. Squeeze out the water completely or else it becomes wet while rolling. Take the squeezed radish; Add coriander leaves, ginger,salt, chilli powder, coriander powder, chopped chillies and almond flour and combine well. Keep this paratha mix aside. Take 90 g/ 3 oz of mozzarella in different bowl and microwave for 40-50 seconds till it melts. Add the Paratha mix in the melted cheese and combine with a fork until it forms a lump/ dough. Knead the dough with your hands gently , do not apply pressure. Take a silicon mat, make 4 portions. Roll them with your hands and roll with a rolling pin until they form 12-14 cm diameter rotis. Line a baking tray with a baking sheet and bake at 180c/350F for 12 minutes. Serve with hung curd or mint chutney. Pl. suggest,substitute for Almond flour in this recipe. you can use coconut flour for this recipe, but taste will be too coconut-ey ! So I’m not a fan of mooli and I had them in my fridge. I had to gulp it down some how so thought I’d try out the talked about mooli paratha recipe. I did it…and OMG!!! I loved every bit of it…the texture ,taste, color and it went well with chicken. Thank u so much sweetheart for the recipe. I think I’m gonna do it again Tonite. Mwaaaaah!!! Can u make the same with gobi?? yes ! absolutely, experiment !